Let’s face it: fried food is delicious. That’s a fact of life. The staple of fried food, however, is saturated fat. This kind of fat isn’t easily digested by the body, so it causes horrible horrible damage within you. Are you ready for me to scare you into drinking wheatgrass smoothies till your face turns green? This (super delicious!) greasy nastiness gets stored in fat pockets around your body, causes bad skin complexion, and most devastatingly of all, clogs the arteries in your heart. But don’t despair – there is hope! Mother Earth gave us the perfect, natural solution: olives! The oil from olives is a dynamic and healthy alternative to your all-too-common saturated fats. Take word from the folks in the Mediterranean, who use olive oil as their source of fat (as opposed to dairy). They are, comparably, much healthier than America and Finland (the 2 highest consumers of saturated fats). These are the facts: olive oil contains more monounsaturated fatty acids than all other fats and oils, and has absolutely no cholesterol. Even with these healthy properties, they’re still delectable! 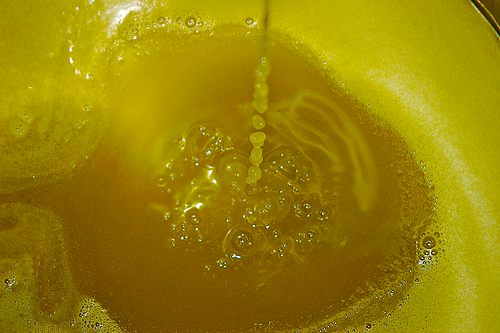 The nature of olive oil is dynamic and multi-purposed. If a recipe calls for butter or shortening, either of those things can be replaced by olive oil without sacrificing flavor; you’ll only be improving the nutritional and health value of the meal. It’s time to toss the fat. Ask us how we could create a bespoke event that suits your exclusive tastes and needs.